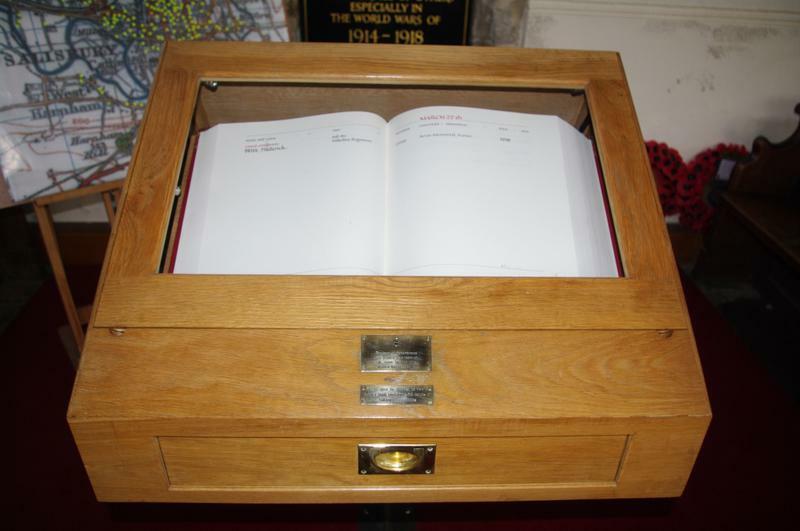 A book of remembrance opened and stored in a wooden and glass case. 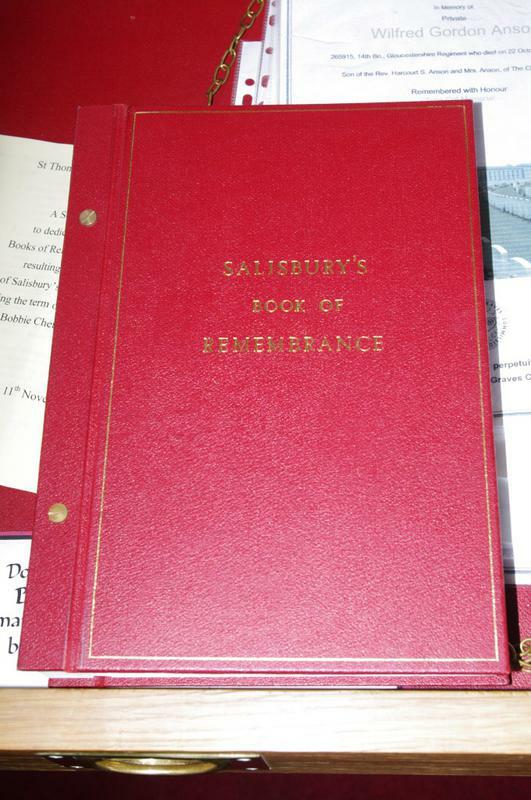 Underneath is a draw with a second red hardback book of remembrance with a gold border and titled 'SALISBURY'S/ BOOK OF/ REMEMBRANCE' in gold lettering on the front cover. 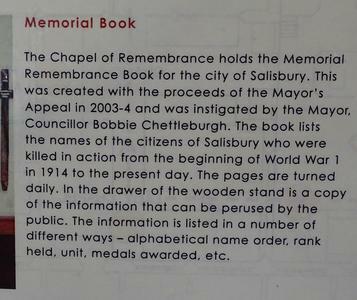 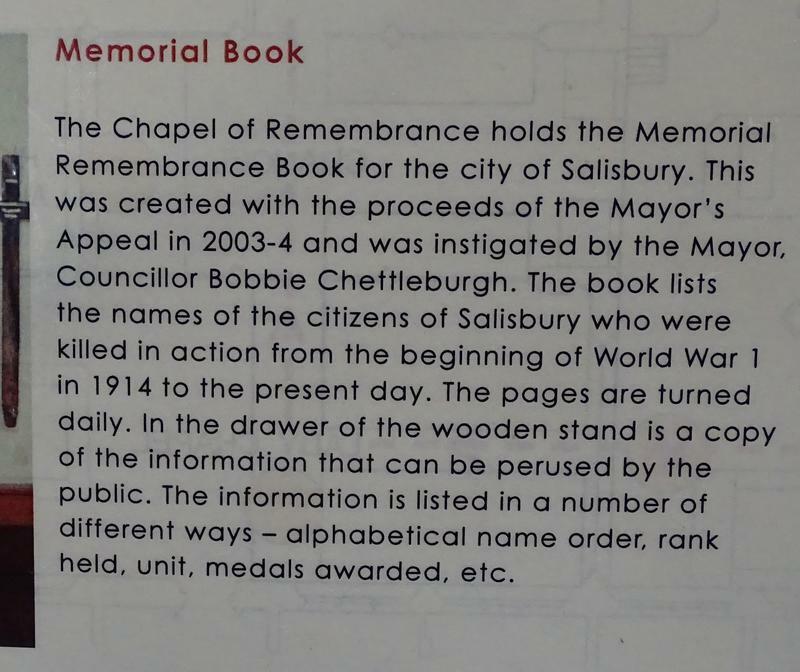 This second book contains full details of Salisbury's casualties.